Go as gourmet as you want on your 2-burners! Our Jetboil engineered valve provides unparalleled simmer control; and still boils a liter of water in 3 minutes, 15 seconds when using the 5L Flux Pot! 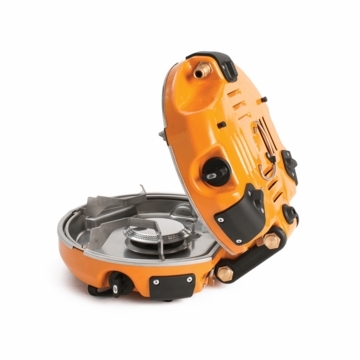 Includes fuel output port designed to provide fuel to other JetLink™ compatible stoves or Luna Satellite Burner.